If blues the music you want to listen to when you’re feeling bad and want to feel better, then Country & Western is the music you want to listen to when you’re feeling sad and want to stay miserable. “Why yes, barkeep, I’ll have another shot of Rye, and a ‘Gansett chaser” You’ll see what I mean when we get to the songs. But first, a little historical perspective. World War II and the post war years was a time when Country & Western music was achieving a new popularity, not just in the US but around the world as well. What we now dismiss as “Newfie Music” picked up it’s twang from airmen posted at the base in Gander. It got a foothold in Germany, and other parts of Europe were people heard it on Armed Forces Radio. The same broadcasts to the troops brought the sound of Jimmie Rogers to Africa where it became the basis of the West African Guitar style. It was this same period when the “Dear John Letter” became a thing. Initially a letter written to break off a relationship with a service man overseas, it evolved to include a lot more. 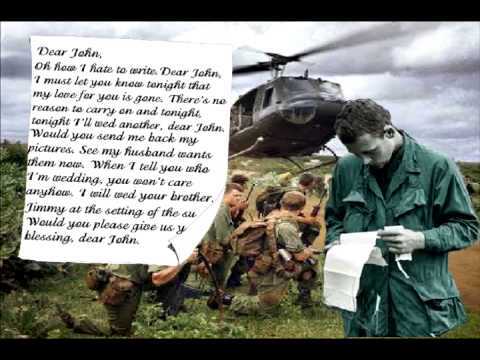 By now we have “Dear John Texts” and “Dear John Tweets.” This song in question here was written during the Korean War by Billy Barton, Fuzzy Owen and Lewis Talley. It was actually the work of Owen who recorded it with Buck Owens ex-wife Bonnie for the tiny MarVel label. It went nowhere, but so impressed Barton & Talley that they traded him Billy’s car (a Kaiser!) for publication rights and thereby became co-writers. 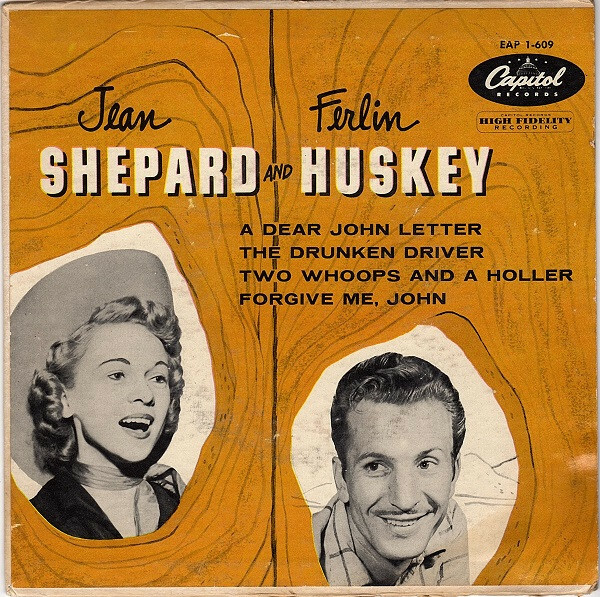 It turned out to be a good deal when they placed the song with Ferlin Huskey and Jean Shepard. It shot to #1 on the Country charts and even made #4 on the Pop charts. Shepard was 19 at the time and became the youngest woman to score a County #1, a record she held for some 20 years, until Tanya Tucker came along. Pops Extra(s) – Jerry Jeff Walker continues the tradition of the Dear John letter. Ron, as we knew him up home, grew up about 7 miles from where I did, in the Northern Foothills of the Catskill Mountains. Contrary to folklore, he was not trailer-trash. His mom owned the trailer park. And, contrary to what he wrote in “My Old Man” his dad did not have “a rambler’s soul.” As a teenager I used to run into Jerry Jeff’s/Ron’s father in the Wagon Wheel, on Main Street, Oneonta. He even bought me a beer once. “Dear John Letter” was just too sad for even Homer & Jethro to parody. 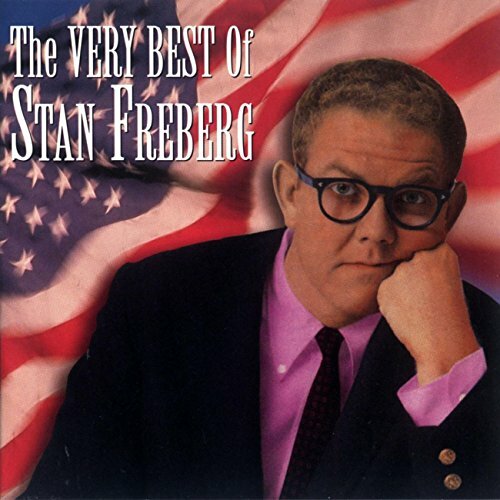 Luckily Stan Freberg had no such compunctions. Next Time – A postwar hit that would probably never be recorded today. Ah, the innocent xenophobia of the 1950s.